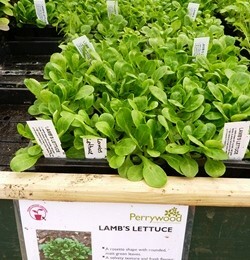 Having to deal with the many pests and diseases that can infect garden plants is often viewed by gardeners as one of the most inconvenient and demanding obstacles to overcome in order to grow healthy plants, particularly any edible crops. Tackling pests and diseases with the use of chemical treatments is a widely used practice and is perfectly safe so long as the product is used correctly and according to any instructions provided. 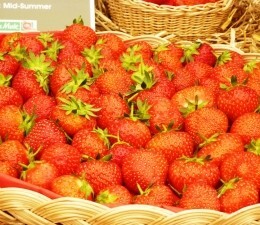 However, through the combination of the increased popularity of organic gardening techniques and the withdrawal of certain chemical treatments, many gardeners are shying away from chemicals and are looking for alternative methods of controlling pests and diseases. Companion planting is a clever technique associated with organic gardening that can help to achieve healthier plants and larger crops with better harvests. 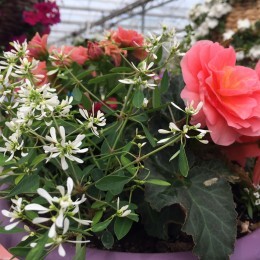 Although there is limited scientific research surrounding companion gardening, many gardeners find it extremely beneficial to their plant’s performance. 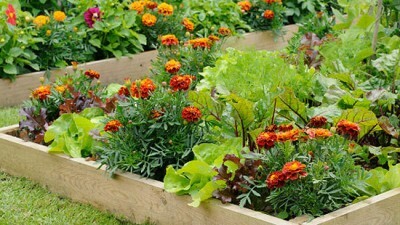 The basic idea behind companion planting is that by planting certain combinations of two or more plants together they will help each other to grow by attracting pollinators, acting as a decoy for harmful pests, providing shelter from the wind and sun or providing nutrients is the soil. It is a technique that is mainly used in the vegetable garden but it can also be widely used in the rest of your garden. 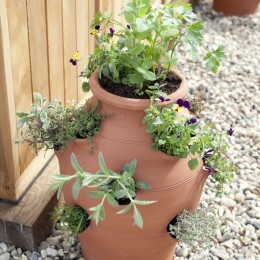 Herbs and flowers with strong scents such as Thyme, Coriander, Feverfew and Lavender are excellent companion plants to grow alongside vegetables as they can help to disguise the targeted crop scent from pests and could drive them away completely. 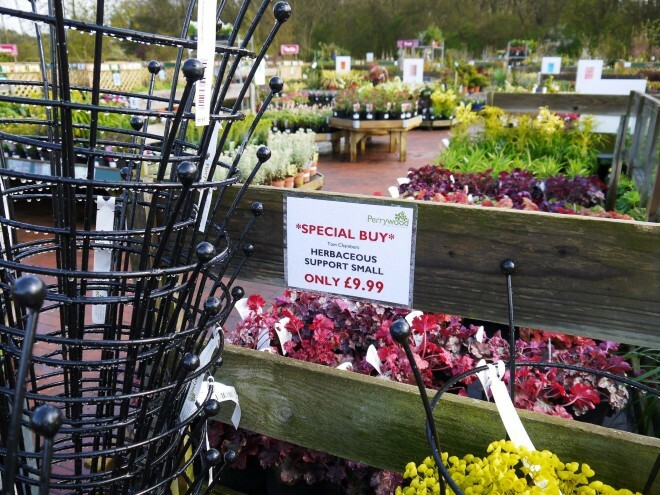 Chives, onions and garlic are also widely used to deter aphids from roses and to help deter the dreaded carrot root fly. 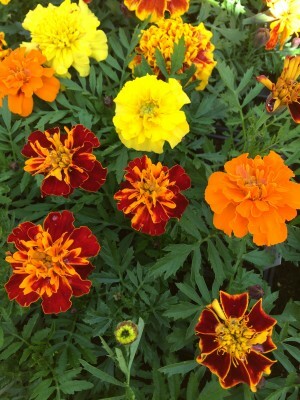 The strongly scented French Marigolds will not only brighten up your garden but they will also help to repel aphids and are often planted with tomatoes to help repel whitefly. Marigolds will also attract plenty of beneficial insects such as lacewings and lady birds which will then feast on any aphid infestations nearby. As well as providing as disguising scents, companion plants can help to break up large block of the same type of plant grown together. Blocks of one type of plant are easy targets for pests and diseases so utilise companion plants to avoid this and hopefully reduce the risk of any damage. Another clever way of using companion plants to keep your other plants pest free is with the use of martyrs. 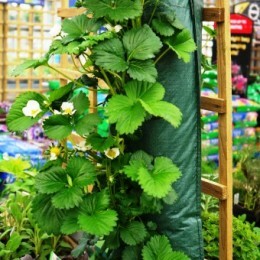 These are plants that you know will attract pests so will act as a distraction. 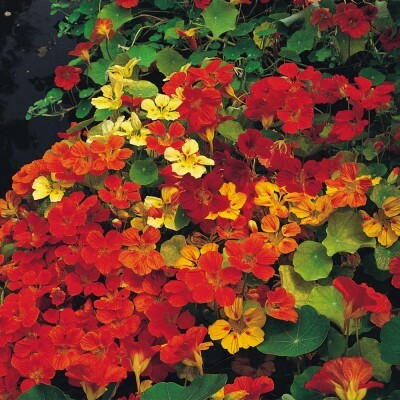 Nasturtiums are the perfect sacrificial offering amongst vegetables as they are magnets for blackfly, aphids and Cabbage white butterflies. While they get attacked your precious crops should remain pest free. Plant them around your beans, cabbages, cauliflowers and broccoli. Without enough pollinators the harvest of some crops can be poor. Planting nectar rich flowers amongst your edibles will help to increase your chances of a better harvest. 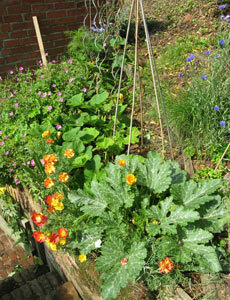 Sweet peas and runner beans make an excellent combination as they can be grown together on wigwams. The sweet peas will add colour and interest and will attract plenty of pollinators which with in turn help to pollinate the runner bean flowers. Companion planting isn’t an exact science and will involve some trial and error and you will still keep to keep a lookout for any problems before they get too bad. One of the keys to successful companion planting is observation. 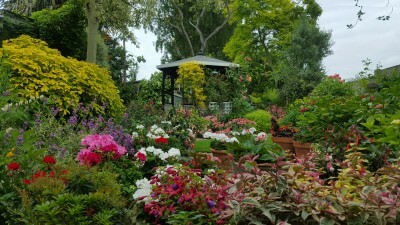 Planting just one companion plant may not be enough; you may need to plant more to have any visible effect. Record your planting combinations and results from year to year to keep track of successes and failures.